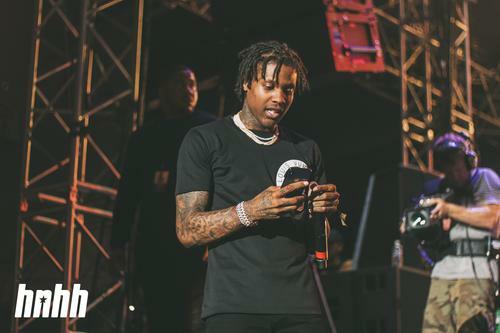 Lil Durk's long-awaited project, "Signed To The Streets 3" drops next month. Lil Durk has been teasing Signed To The Streets 3 for a minute at this point and fans are eagerly awaiting to hear what the Chicago rapper has to offer on his forthcoming project. Earlier this year, the rapper announced his departure from Def Jam, citing a change in the offices as one of the main reasons for leaving the label. Shortly after, he announced that he signed a joint deal with Alamo and Interscope Records. After heating the streets up with singles such as "Spin The Block" with Future and "Downfall" with Lil Baby and Young Dolph, he now shares the official release date for the project. Lil Durk's Signed To The Streets 3 will officially be dropping next month. The rapper took to social media to make the announcement by thanking his fans before revealing that the project will drop on November 9th. The rapper also shared a letter explaining the significance of the project's title. "Thank you. Since the beginning you embraced me. You taught me everything. The Good, the bad, the ugly. You took away too many loved ones but you also gave my my bloodas. We have a love/hate relationship but you helped make me who I am today. Before I signed my contract ever in my life, I signed myself to you, the streets. And I Promise to represent you forever." Peep the letter below and keep your eyes peeled for Lil Durk's upcoming project, Signed To The Streets 3 which drops on November 9th. You could pre-order the album here. Read our recent interview with Durk here.